FxWirePro™ is a trusted professional grade real-time financial analysis company providing investors and traders with a comprehensive overview and insight of the global currency markets. curate the most timely and actionable newswires in the industry. FxWirePro™'s FX news gives forex participants an edge with expert commentary, in-depth analysis and news curated by FxWirePro™'s global team of FX editors and reporters. Global event coverage impacting forex, equity, bonds and the futures product complex. Coverage includes economic data points, monetary policy alterations, international events, exclusive commentary and notable price movement. Experts at analyzing news and trends, FxWirePro™'s analysts generate actionable trading ideas. Examples include unusual options activity, cross-currencies to trade on news items and price spikes.
" 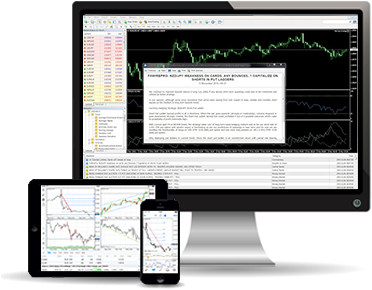 Timely and accurate news fromFxWirePro™ are a perfect addition to real-time TradingView charts." "E xcellent news source. Integrates perfectly with NetDania applications." " I liked it immediately. For those of you who are into fundamentals, this will be of great benefit, no doubt." " We are very glad that together with the platform we can offer a high quality newswire feed to our clients." " I follow you around a lot lately. I see u always on point on markets. " " Great Trading. Thank you for your suggestion "
" Hey mate,thanks for the signals and insight "
" Good call on EU! you are my favorite. Kudos!! " " You said yesterday that on the news from Britain on inflation the trend will go to the South - and so it happened I remember your opinion. Please accept my sincere thanks and Hello from Russia. " " Excellent call on USDCAD. Your charts are very clear to me with best recommendations. " " Your analysis is great and I appreciate a lot. Thank you very much for your ideas that giving to us. " " I just wanted to say what a lovely work you've been doing. Absolutely amazing. I've been following your trading ideas and they are absolutely spot on. Keep up the good work. "